Short of space? Well… I’d advise you to ‘grow up’! Summer climbers are an ideal, (almost) instant way to add structure! 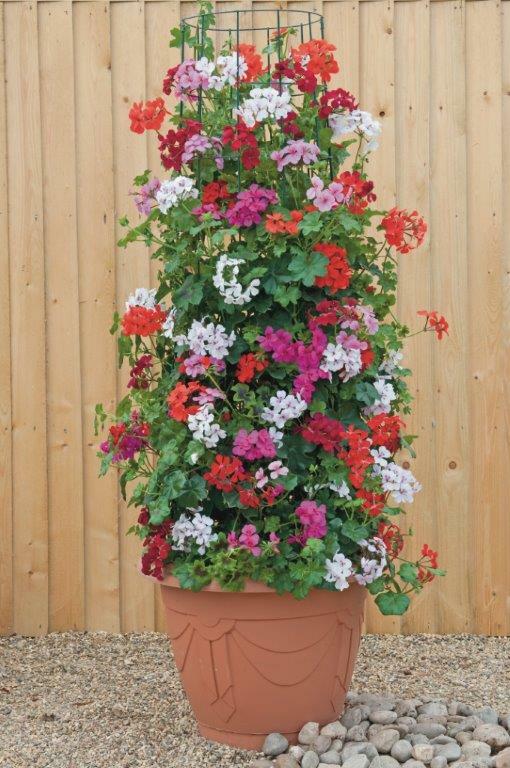 Either in pots on the deck or patio, in borders, covering messy old fences, or clinging to unattractive walls! First up, we’re sending bedding plants skywards… Introducing Petunia ‘Tidal Wave’- which is not a new plant, but merely a ground cover plant which we have pushed to grow upwards rather than out..! Tie in the stems in regularly and you can create punchy, colourful, AND fragrant towers which will certainly get the neighbours talking! Fuchsias, now we all know those, and you’ve no doubt grown some at some time or another..! 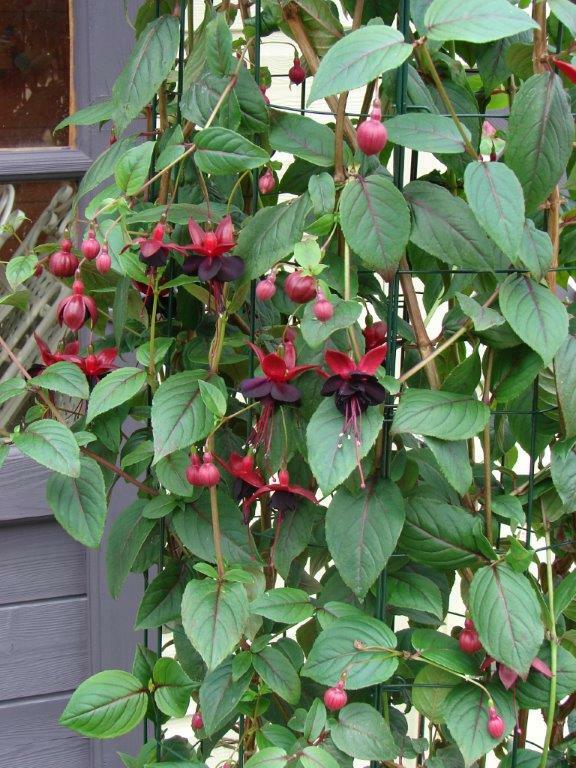 Brand new ‘Lady in Black’ is, believe it or not, a CLIMBING fuchsia! Growing 6 feet in their first year; and with unique, red flowers, with jet-black, inner skirts! Perennial too, so you can cut this back to a third each year, easier to prune than a Clematis! Geraniums are always rising up through the ranks too, new ‘Skyrocket’ is the first climbing variety- super vigorous and easy to grow. De-flower your plants vigorously when young, to ensure they grow up rather than stop and flower on the spot! Veg is going upwards too, so even if you haven’t got a vegetable patch, you have no excuse for missing out! 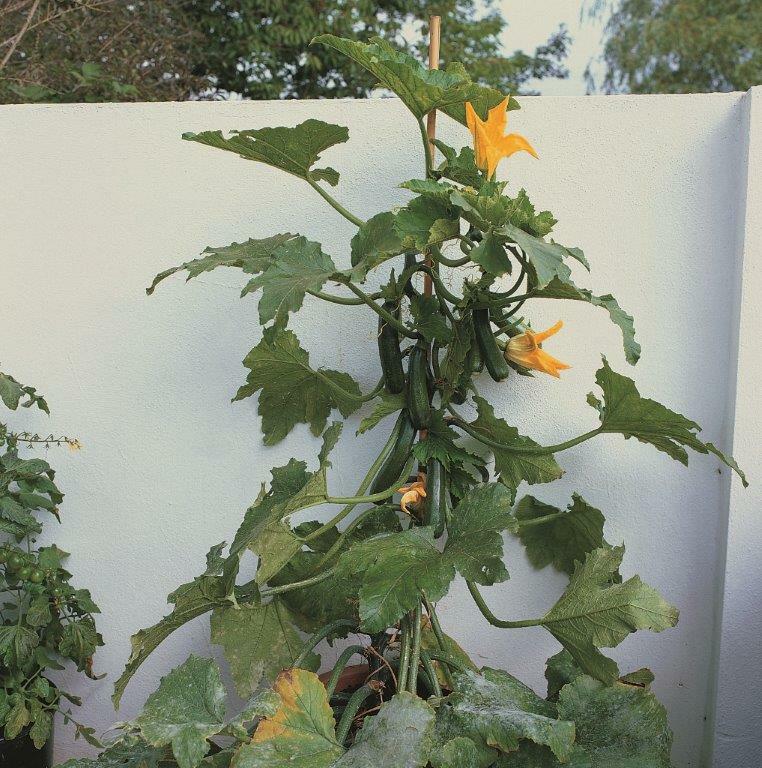 Courgette ‘Black Forest’ can reach 10 feet, with healthy crops of tasty courgettes. 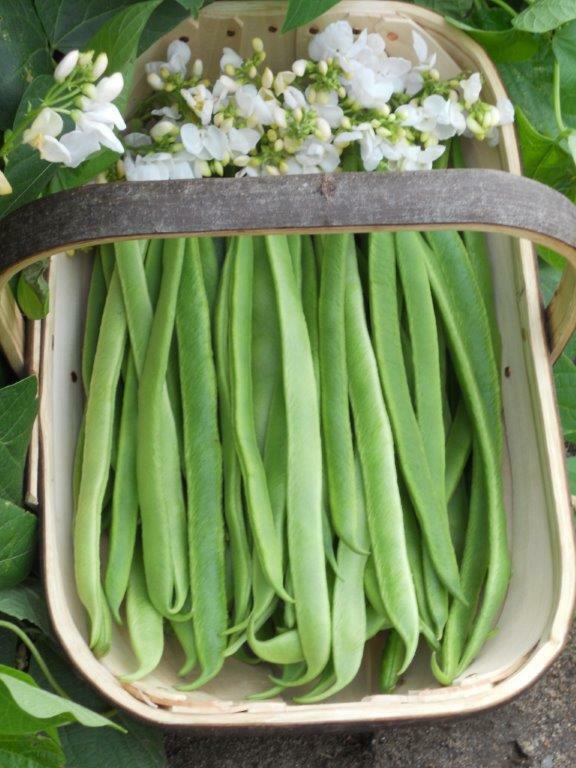 And, of course, Climbing Beans- an absolute doddle to grow, and now available in lots of different colours, not just from the pods, but also the blooms! Next Post Just what are “secret” perennials then…? Last year, we grew miniature gourds and squashes vertically and in containers. They were brill to look at! 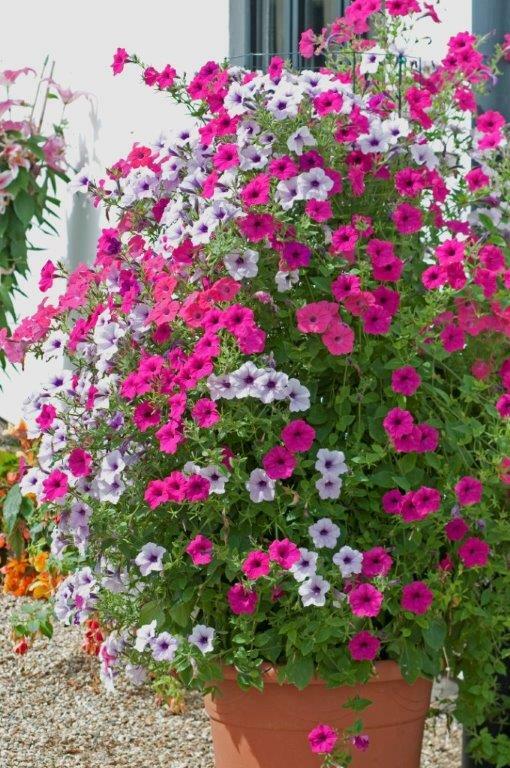 I am a big fan of petunias and geraniums, which grow very well in my temperate climate with hot, dry summers. Excellent blog post, sir!!! Helped me to know I am doing something right in my patio potted garden.